So I love MUSIC! I love TEACHING with MUSIC even more. 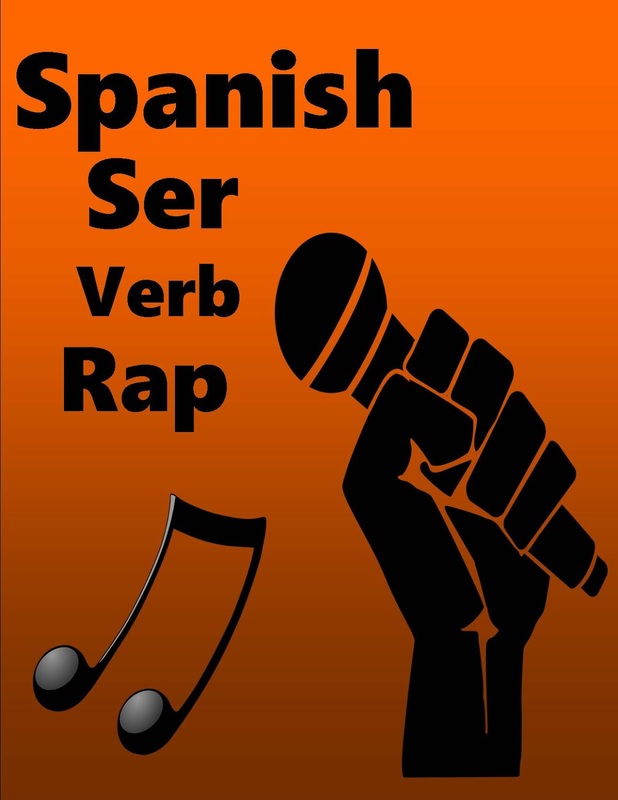 In my 8 years of teaching Spanish, I have created a TON of songs that help kiddos remember their Spanish. I hate to admit it: they forget the grammar, they forget the vocab, but they don't forget the songs. Recently I just had a girl visit from college, she's a sophomore now, and she busted into my classroom singing "Yo Soy...I am, Tu eres...You are" I saw her, screamed from excitement, and hugged her. She told me that she was minoring in Spanish and thanks to Mrs. B's crazy songs...she definitely felt a lot of it STUCK. It was "music" to my ears!! So since this song is SUCH a hit...I thought I would share a little video of one of my former classes singing the lovely Ser Song! They are adorable by the way! I also like to include a little fill in the blank after we sing it to see just how FAST they can remember it! The kids will get so proud when they flip the paper over and fill in every blank their first time with no peeking. Heck, it's a proud moment! I have included a link below if you would like to purchase the Ser lyrics with the actions & fill in the blank. If not, feel free to just copy the words! Can I look at your grade book?!? OK, so let's talk about an issue that can actually be really sensitive to each teacher. Meaning IF someone were to tell you to do this a certain way...the issue could be quite sensitive! That issue is...how to set up your grade book. So I have been asked by several readers what does my gradebook look like. Along with the requests, I have also been given the opportunity this year to work with some of our new teachers and help them in deciding how to set up their grade book. Before I share what my personal gradebook looks like...I would like to share some rules. Woah, rules for a grade book? Let's just say I had to learn the hard way 8 years ago when it comes to grade books. Rule # 1: It must be personal. Okay, you're probably thinking whattttt??? So I can't tell you how many teacher friends have shared their "grade book preferences" and I have absolutely adored what they are doing in their classroom with their grades. They make it sound so easy and so awesome that I literally wanted to run back to my classroom and change everything I was doing. Here's the problem though...it may not work for YOU! It has to be personal! What they are doing in their classrooms every single day may not translate to what you are doing every single day therefore it does not translate in the grade book. #1: what do I want my students to do everyday? #2 What will be our routine? #3 How much grading can I do without killing myself? #4 How much do I want my students to do to acquire a grade? #5 How will the grades help my students to learn more? #6 How will I assess my students? #7 Have much emphasis am I putting on participation? Is my classroom even NEED a participation grade? #8 Off the top of my head, name some assignments that will be graded? Are the assignments worthy of different categories? So after you have answered these questions, this will really give you a clear picture of how your grade book should look like. The second rule I want to share is something that I had to learn along the way. Believe it or not, I was one of those people that wanted to over complicate the system way too much so my second rule is simply DON'T over complicate things. Thank God to my KTIP teacher who corrected me in this manner! Shout out to Ms. Laura Prather from Scott Co. HS! You were a blessing! I have seen some grade books where they literally have up to 10 categories. I don't understand how the teacher can manage the gradebook nor can the student interpret their grades. Think of what you want your kids to do and what those categories are called and stick with the basics. Side Note: it's our district policy that every class much give a final exam and it's 20% of the students final class grade. So therefore, we have to create a separate category for it. 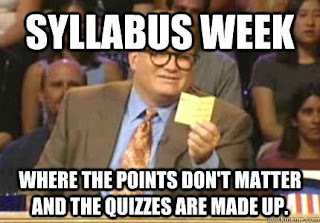 Now, let me give you a little sneak peek into my classroom of WHY I have my gradebook set up this way. First things first: I do not weight my grades. I used to but I decided that I wanted to even out the playing field for all students so this would mean letting everything count by a point system and not a weight system. I was done with making ONE category mean more than another. For instance, I had some kids that would absolutely never do their work but yet they would always do really well on the test and exams. This would do enough to get them a B in the class and they were satisfied with this...but I was not. Or I have the opposite where kids would do really well at turning in all their work, and work really hard but yet they would bomb the tests and quizzes. I just didn't feel like this was fair. The ONLY reason I even separate the categories (or have categories) is so when my students are reading their gradebook it breaks down a percentage of each area. This way I can help the student see what is their weak area and what is their strong area. I can also specify direct problems in the class such as participation or not wanting to be involved in whole class activities or never turning in classwork. They know where to improve exactly. Class work and homework are bunched together. Class work and homework include everything that the students are having to do independently and a lot of this does include writing and reading activities. I don't give a ton of worksheets but this is where they would go. This is also mini projects, simple writings, and any quad d Products. The whole goal of my class work category is that students are constantly practicing the language so that they can get better at the topics. They are solely accountable for their classwork. It's the same equivalent to practicing a sport every day. I want the concepts to become easier where my students are pros! When asking someone what activities they do, they don't have to think about their conjugation, they just spit it off. This is the point of my classwork grade: independent practice. The next category I have is whole class activities. In my class we are always working and interacting together to get better at the language. I think it's important that when learning a language students have plenty opportunities to do communicative activities daily. What better way than to use your peers in the class in a real life setting? Almost every single day we have a whole class activity where the students are accountable to each other to learn the language and to get better. Not only do I think that this is important to the kids in high school, but I strongly believe that this will help them in life and it will help them to be more of a sociable person who can interact with others. So how do I grade this whole class activities? I am always the facilitator of these whole class activities plus I am always monitoring even when I am playing with the kids. Yes, I play too! If I feel like a student has not given their full effort, if they have not done the prep work for the activity, or they are goofing off and really don't even care then by golly I am going to lower their whole-class activity grade. (I will show you how I grade this in live action when we return to school). Also, in many of these whole class activities the result is an end-product: Skits, art work, conversations, ending of a game where we have winners, or getting the answer to a mystery question. So if an end-product is missing from a student, I know they didn't do their work. The next category I have is super important to me. I have been doing this for eight years and don't plan to stop any time soon! This is the participation grade and I honestly believe it is a huge part of my classroom management style. In learning a language you must participate in order to learn the language and practice. If the students do not do this, this is where they are going to see it affect their grade. If the students are on their phone, goofing off, not trying, talking when they're not supposed to, or just blatantly not doing what they should be doing...this is where they will lose participation. Because face it: they're NOT participating! I give this grade daily. 95% of my students do great with this grade. The next category is quizzes and tests. Unlike the classwork grade where they don't have to have every answer correct, this is where I'm checking for the "right" answers. It holds them accountable to listen, get the notes, and STUDY (which I believe high schoolers struggle with) but yes, this is important to the students and myself. It's a way to look at my teaching and to see if I'm doing everything I should be. The last category is Final Exam. As I said, this is mandatory for every teacher, and it's worth 20%. I am totally indifferent about this category to be honest. Alright guys, there it is! Note: pics to come later! So guys...if you have followed me for any amount of time on my blog or on my facebook page...you can probably tell...I love me some GAMES!!!!! 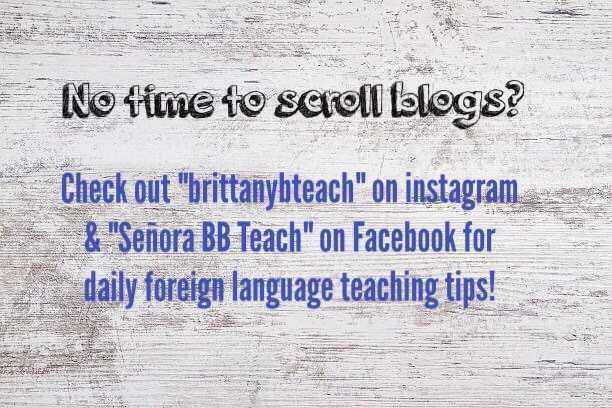 I am all about high engagement and students learning Spanish without "realizing" they are learning Spanish. I am not going to lie...my kiddos love my class. They talk about how it goes fast, they feel confident in what they learn, and its the "least" dreadful of school. As much as I wish I could say it's just me as a teacher (shoulder dusting at the moment)...I don't this it is. It's because my kids have a ball in here. 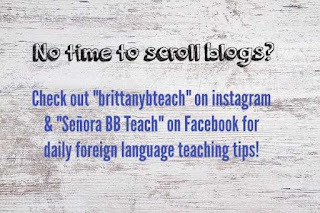 I am ALL about games & competing BUT learning Spanish at the same time! My units are chunked full of games and they aren't just your good ol' educational game but actual game the kids play in real life but just modified with Spanish. 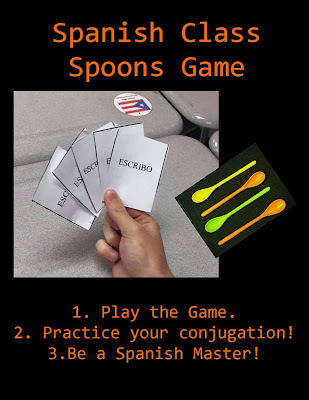 So, has anyone heard of the Spoons Game? Whew! It's a fun one...highly energetic, active, and super competitive. 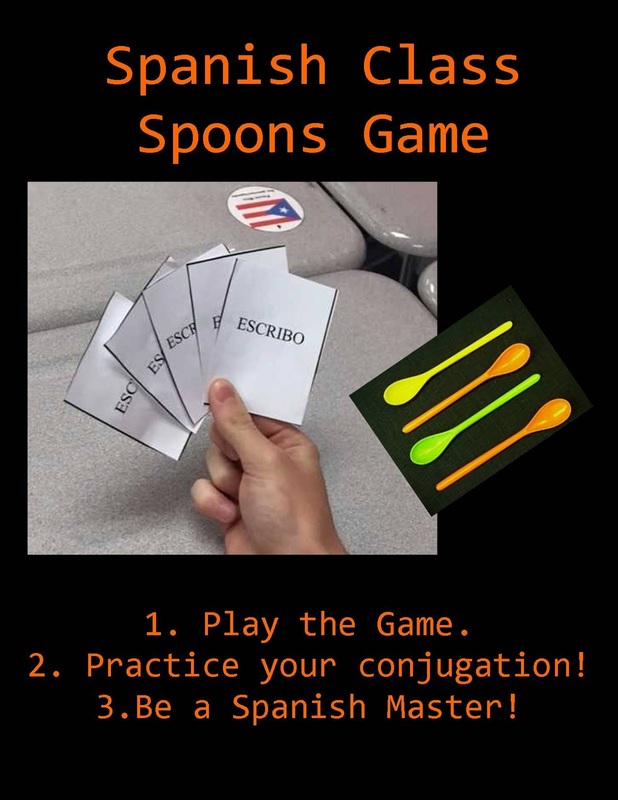 Well, I brought the Spoons game into Spanish class and it was SOOOOO easy! 1. You need at least 4 to 6 people to play to make it fun. 2. The whole goal is that you're going after a spoon & there will ALWAYS be one less spoon than people sitting at the table. Womp Womp...someone ain't getting a spoon! 3. You are trying to get a matching set of cards that allows you to be the first to grab the spoon. 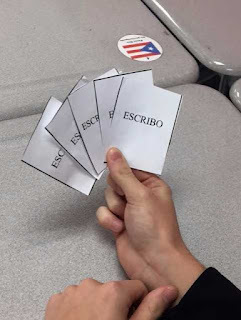 Now in regular playing cards, you're going after 4 of a kind (3 of hearts or Ace of Spades, whatever) BUT in Spanish...you're going after 5 of a whole conjugation of a verb. Notice the kid above is holding "Escribo, Escribes, Escribe, Escribimos, and Escriben"
This is the precious match that allows you to grab that first spoon which spins everyone else in a whirlwind grabbing a spoon. 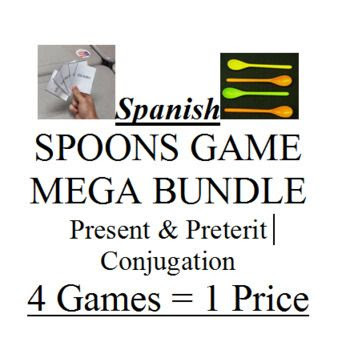 The kid that was the first to grab the spoon MUST lay down his cards and show his conjugations AND (here is where it gets interesting)...he must tell the English of EVERY card....yep, that's right. If he/she can't, they have to take their precious spoon and hand it over to the person who DIDN'T get a spoon! Know those verb conjugations kiddos! So how do I play this in my class. Well, lots of ways. If I see a whole table is finished and we have 10 minutes left. 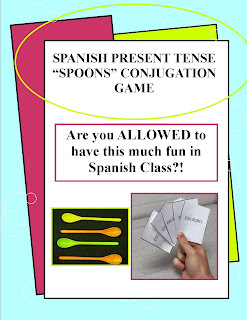 I'll say "Go grab a spoons baggie"
Or...some days (such as a Friday after a quiz) we'll dedicate the rest of class to Spoons Game Class Wide. I have 4 different games: Present Tense Regular, Present Tense Irregulars, Preterite Tense, and Preterite Tense Irregulars. If I am dedicating the whole rest of the class, I will divide the class into stations: Present over here, Present Irregulars over here, etc. They'll play for about 10 minutes and then switch to a new deck allowing them to focus on a TON of conjugations. What if I want to assess my kids after we play to make sure they know it? My kiddos always complete this after playing their game. If we are in stations, they will complete before moving on. I have also given them these written translations the following day as well for a bell ringer or exit slip. 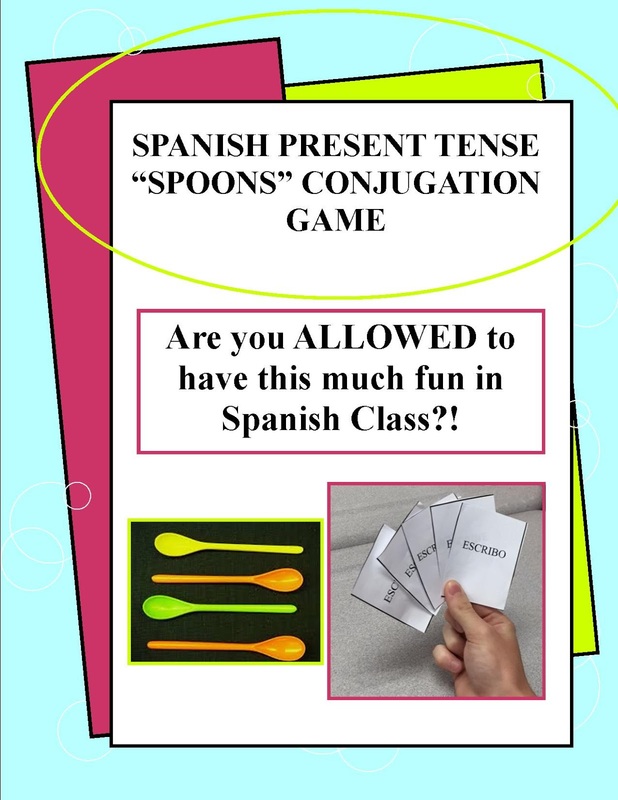 No matter how you plan the Spoons Game in your lesson, it will always be highly effective and yes, they will KEEP asking to play! See below for my products of the Spoons Game if interested. 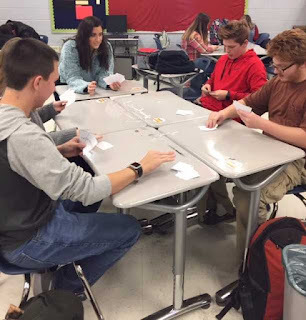 Every game comes with directions, playing cards, verbs list, and post-written activities of verbs used in game. Thanks again & God Bless!!! I have been using my social media accounts a ton here lately posting little teaching tid-bits and an idea here and there. Ditch the Boring First Day...Shake It Up a Bit! I understand that you want to “set these standards” but is there any other way we can do it? I vowed to myself that when I became a teacher that my first day for my students would rock. I wanted my class to be their favorite (or at leas their least dreaded). I wanted that when students went home & told about their day…that maybe, just maybe, there was a little excitement for the next day in Spanish class. I knew that by "liking the class, the language had a chance"
So today I want to share some secrets that set my class apart from other typical classes on the FIRST DAY! SIDE NOTE: Many of these activities CAN BE adjusted FOR ANY subject & any level. You just have to customize the task to your own subject & teaching! 1. 1. Music…when they walk in, they might just walk in moving their hips. 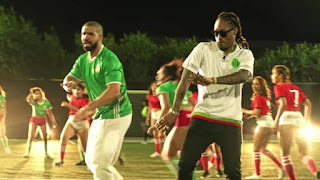 For some classes, I will show a music video that compliments a Spanish song and displays culture. The kids can tell from the music and video that the energy will be high, and the class is going to be very different. 2. Make them an honorary Latino for the rest of the year. I don't put my kids in alphabetical seating and I don't do rows. 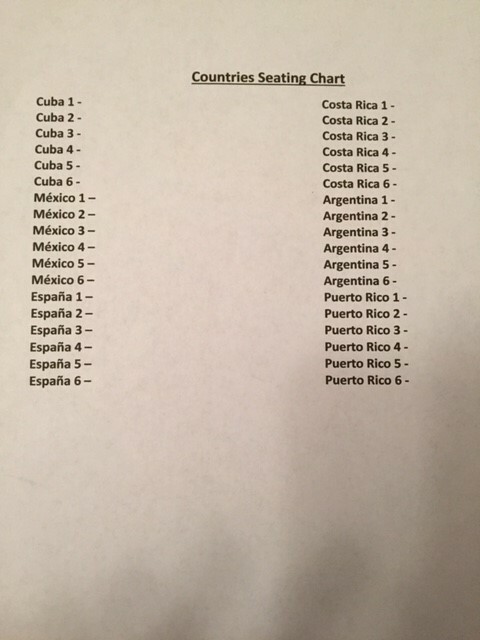 Instead, they are placed in a Spanish speaking country group where they will be competing against OTHER countries. They win prizes, homework exemptions, and even food. I love hearing the kids say on the first day, "What are you? What country are you in?" 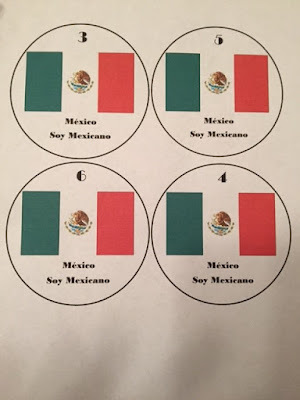 Plus, if they didn't know any countries that spoke Spanish, they learned six on the first day. Note: what's even awesome is when OTHER teachers ask you about this "country thing" because they overhear kids in their classes ask what country other students are in. 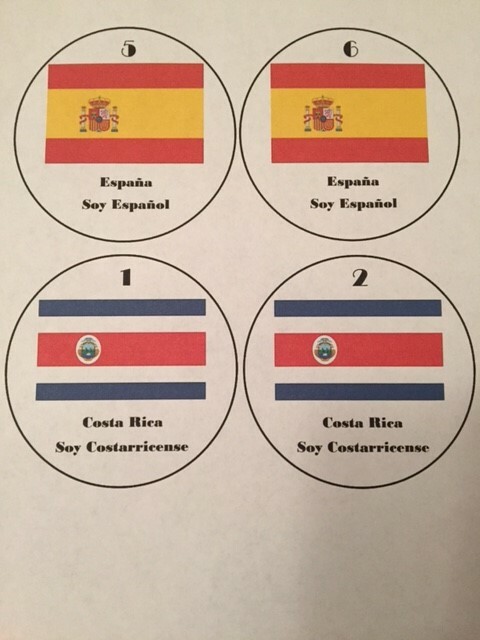 I use little seat flag tags on the desk that group the countries together. 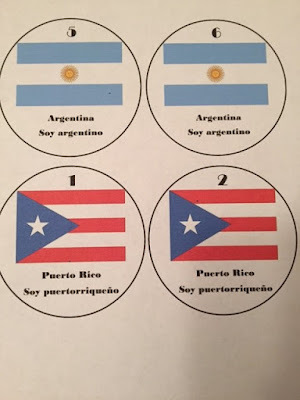 The kids on the first day get exposure to the flag, the country name, the word "soy", and the nationalities all IN SPANISH. Little tip: I stand at my classroom door and tell every student that enters which country they are in. I have always done this idea because it allows me to talk to every individual student on the first day. I can smile and introduce myself. Plus, making that first impression has always played in my favor. 3. Close the door & give a quick intro. This is one of my favorite parts because this will be the FIRST time ever they get full exposure to the Spanish language. Before I even do attendance, I give a quick little three minute intro of my class (and myself), but I use half Spanish and half English. I only speak Spanish that is complete cognates and I speak very clearly & slow. I love it because the kids will respond "I think I totally understood what you said" or "I followed you the whole time." I try to be very warm and embracing during this little intro. I am amazed at what personalities I will see come out within the first five minutes of the class. 4. Spanish word attendance. 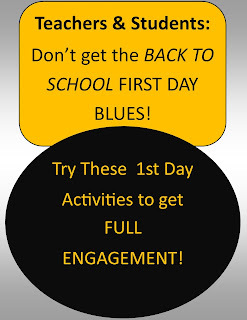 This activity is soooo much fun & can be played anytime, but you AND YOUR STUDENTS will love it on the first day. Basically, you're going to call out your students names for attendance. You'll teach them to say "hi, here" (In Spanish: hola, aquí) but then they must say ONE Spanish Word that they know (or whatever language you teach). It can be a food, animal, country, etc. It's so much fun to hear the kids spill out a Mexican restaurant menu. I promise there will be laughs by the end of attendance, and look at how much Spanish you're already exposing to the kids. 5. Time to show the "About the Class & About the Teacher PPT" This is where you'll settle some Spanish nerves and give a great snapshot of your class. This PPT answers any dire questions, but more than anything: it shows the kids WHY, JUST WHY learning a language is so important. I even make a slide of jobs they can obtain with being bilingual. Hey, money talks! The 2nd half of the PPT is an About Me section. This is where I am going to be vulnerable and connect with my kids. I am going to tell them about my childhood, where I went to school, why I became a teacher, etc. This is where the students will connect. This is where they will understand why you are doing what you're doing. with memes! That's right. It's time to explain the expectations of your class but for each section, the students will see funny memes. This makes the most boring part of the class a little less painless, and who doesn't love a good Will Farrell meme. 7. One more PPT (and it's a biggie)...Class Procedures. Okay, I'm going to vent/nag/whatever...I hear and talk to so many teachers who complain a few weeks into school about how their classes have gotten chaotic & they have lost control. My first question: did you teach class procedures? They'll often say, "Yeah, we went over the rules." Noooo...did you go over class PROCEDURES? There is a huge difference. No cursing in class is a rule. Telling the kids how you want them to turn in their HW, what to do after completing class work, and what to do the last 5 minutes of class...are Procedures. You MUST teach them if you want structure. I always show this PPT! I will tell the kids I love to have a good time (if we're learning) BUT if I think we're sacrificing learning FOR a good time, you will see a different person. Side note: Teaching the Procedures is important, but following through is probably even more important. Basically: Don't get soft. Stick to your procedure game plan. If time: Group Introduction...I will teach the kids how to say "My name is...I am from...I like..." and have them share with their group. We often don't get to this, but I always keep it in my back-pocket. That's it, folks. That is my first day. It looks a little different from the traditional first day but honestly, it excites me as a teacher so I know it must be exciting to be setting in a student desk! Thanks, God Bless, and Happy Teaching! Let's all raise our hands if we have attempted 50 billion seating arrangements in our classroom? That's right...every hand should be up. I don't know about you all but for me, searching for the perfect seating arrangement is like searching for the secret formula for success in my classroom. Anybody else agree?! IF I just get them to sit like this, then this will be better, and that will improve, and this, and that. And...I'm tired. Anyways...I have been through the loop & back trying out different seating arrangements...I've done rows, I've done groups, I've done the horseshoe, I've done what's called the "butterfly"...you name it. But...there was ONE in particular that was definitely memorable and my favorite. That...was groups. Groups of 6. Now why did I change it if it was working? Well, at this time I had eliminated my desks and had little to no desks in the room. I decided to get rid of my 2nd hand furniture due to stuff breaking, fighting over the furniture, the littering in the couch seats, etc. I was done. BUT...I SHOULDN'T have been done with groups, COUNTRIES that is...they worked! So this year, I will be bringing back the countries, and I will be bringing back the groups. Honestly at 8 years of teaching Spanish...I am tired of being a walking dictionary. I feel like allowing the kids to be in groups makes me LESS of a walking dictionary. 1. Teacher is LESS of a walking dictionary. "ASK YOUR GROUP" goes a long way. 2. They get to teach each other. Isn't teaching something truly learning it the best? 3. They are less likely to get bored. 4. The desks are actually easier to maintain because they are all squished up against each other. 5. Relationships are built and cliques are separated. 6. They are more likely to TRULY speak Spanish & interact. Solution: Folder tents during assessments. 2. Maybe too much talking? Solution: Be strict when direct-teaching & monitor work progression while they are completing assignments. Once I added the pros & cons, I realized that groups will do me so much better. Sooo...I'm not just stopping at groups. I'm building on it. I'm making them be apart of COUNTRIES...SPANISH SPEAKING COUNTRIES. They will compete with one another, help each other, earn rewards, get to dress in their country colors on certain days, get to research places within their culture, and embrace their "country"
Every person will be apart of a country & will sit where their number is. 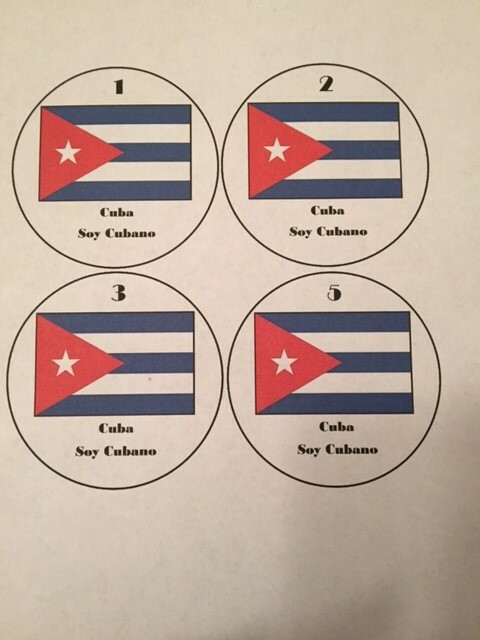 With these little tags alone, they are learning the flag, country, nationality term, and "soy" (which we know they will ask the first day). 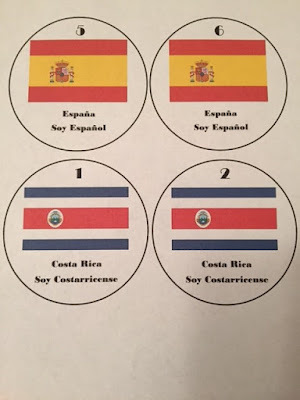 I do plan on switching up countries 1/2 way through the trimester so they'll get to learn more about another Spanish speaking country, but I am so excited to re-introduce this. PLUS, when you play games...the kids are already in groups! We also did a thing were we would have "embassy" workers that were allowed to represent their countries while VISITING other countries. This is where the numbers come in on the desk tags. I will laminate the tags & keep two sets, just in case some little booger tries to steal the desk tag, I can easily replace it. Feel free to create your own that represent your own favorite Spanish speaking countries.